As a business owner, you may have one or more vehicles, such as delivery vehicles, taxis, limos or buses. The right commercial auto insurance covers you for accidents, injuries and other incidents that can put those investments at risk. What commercial auto coverage do you need, and how much? What are the risks to you, your drivers, and your business that commercial auto insurance can cover? Commercial auto policies cover personal cars that are used for business, as well as SUVs, light duty trucks, buses, limousines, taxicabs, vans and other delivery vehicles used solely for business purposes. Use of these automobiles is associated with a range of risk factors, including how you use them, how often, and how many miles they travel each year, among other factors. Insurance companies review these risk factors along with any efforts your company may make to improve driver safety, when they assess the amount of coverage your business needs. If you are looking for coverage information on large trucks and heavy equipment used for business purposes, refer to the commercial truck insurance section. Commercial auto insurance is similar to personal auto insurance in basic coverage, such as liability, comprehensive, collision and other types of coverage that are specific to business vehicle use. A commercial auto policy is designed to protect your business from significant losses that could affect your company’s financial well being. Bodily injury liability: This portion of the commercial auto policy covers harm to others in an accident caused by you or your employee. Bodily injury coverage will provide compensation for medical costs, funeral costs if necessary, and the costs associated with a lawsuit. The amount of compensation your company receives depends upon the limit set on your bodily injury liability coverage, as well as your deductible. Property damage liability: This coverage will pay the costs to repair property damage caused by you or your employee. The amount of coverage you receive is based on the limits you set and your deductibles. 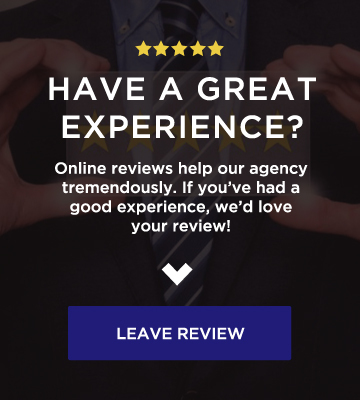 It is a good idea to work closely with an independent agent to assess your risks as well as the potential costs of injury, property damage and legal fees. For the best protection, consider buying a commercial umbrella liability policy. Collision: As with your personal auto policy, a good commercial auto policy should include adequate collision coverage to pay for the damage to your vehicles in the event you or your employees cause an accident. Comprehensive: Known also as “other than collision,” your comprehensive coverage is an important protection for damage to your vehicle or loss due to causes other than collision. These causes can include weather, theft and vandalism. Uninsured and underinsured motorists: If one of your drivers is in an accident caused by another motorist who does not have adequate insurance, this coverage will help to pay for damages and injuries to your vehicle and your driver, up to the limits set on your policy. Medical payments: This coverage pays for medical and/or funeral expenses for you, your drivers and passengers after an accident. Additional optional coverage: A wide range of additional coverage types may be available, depending on the insurance company you work with and the state your business is in. For example, you may be able to buy coverage for your employees when they drive a car or truck your company does not own. You might also buy coverage for a rental replacement auto if your company car is in the shop. You could opt to get towing and roadside assistance. Some insurance companies even provide very specific coverage for companies who load and unload cargo, due to the increased liability risk involved. The right commercial insurance can protect you, your business, and all of the drivers in your commercial cars, vans, pickup trucks or limos in an accident. One of the most critical ways to protect your company is by having adequate liability coverage in case you or one of your employees causes an accident that injures another person or damages their property. Does Commercial Auto Insurance Cover Personal Use? Small business owners and entrepreneurs often use their own cars while on the job without a second thought. However, it is important to know that your personal insurance may not cover commercial use of your auto. It’s very common for a small business owner to send an employee out on an errand, whether to get supplies from the local store or to give a business consultant a ride from the airport. If the staff member gets behind the wheel of his own car, and the business owner does not have a commercial auto insurance policy in place that covers that worker and his car, any injuries or damage that result from an accident may not be covered. Regardless of how much or how little you and your employees use personal vehicles in the course of doing business, getting adequate coverage in place can prevent a financially damaging event from putting your business at risk. An independent agent like Oklahoma Insurance Group, can provide all of your commercial coverage through one office. We can sit down with you, get to know your business, and learn how you and your employees use your business automobiles. We’ll ask a variety of questions designed to not only get you an accurate quote, but also find discounts that may be available to you. How many commercial automobiles do you have? How are those vehicles used? For example, do they transport people, goods, hazardous materials, or food? How many miles does each vehicle typically travel in a year? How many drivers do you have? What are their ages and level of experience? Have your drivers taken a safe driving course? If you’re in the market for commercial auto insurance in Norman, or if you have coverage already but aren’t sure it’s comprehensive or competitively priced, we’ll give you an open and honest assessment of your coverage to determine whether or not you can do better. 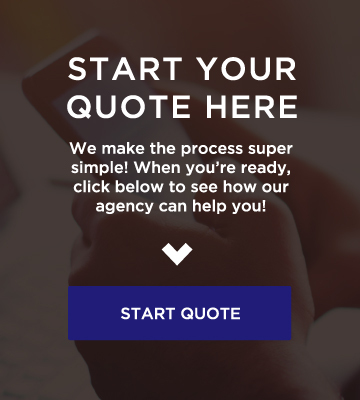 Call our office, or click over to our Quotes page to submit some basic information to get the process started. Either way, we’ll make the process simple!